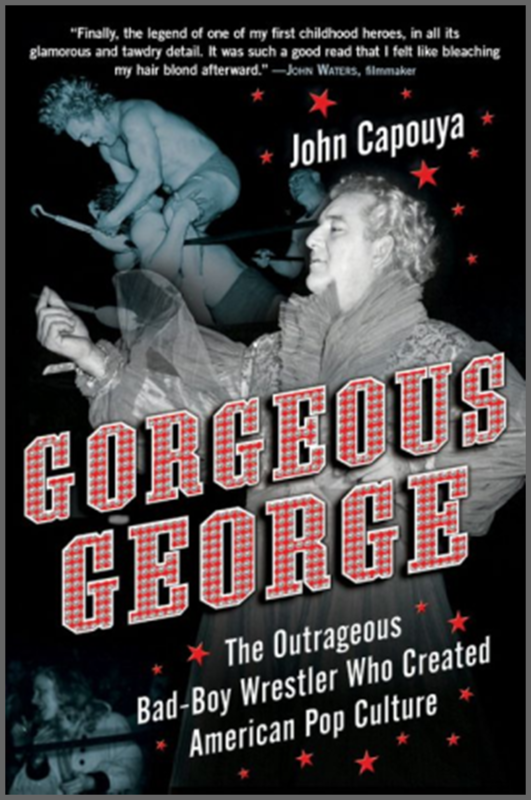 John Capouya a professor of journalism and writing, editor for popular newspapers admits he knew nothing of wrestling, had never seen a match until he became intrigued by the character of George Wagner better known as Gorgeous George. Following the illustrious career of the 'Human Orchid' from his early child hood as best as can be recounted to his days as George Wagner the technically sound good guy, the transformation he undertook to become the 'Sensation of a Nation', Gorgeous George, reaching the pinnacle of his career, money and fame before ultimately falling in to a dangerous downward spiral. Review of Gorgeous George: The Outrageous Bad-Boy Wrestler Who Created American Pop Culture. Gorgeous George: The Outrageous Bad-Boy Wrestler Who Created American Pop Culture. Published as Hardback: September 2, 2008.